Not one to give in easily, I kept running in them. My feet started to hurt in ways they never have. I switched back to an old pair that was buried in my closet and have been running in those for a few weeks. 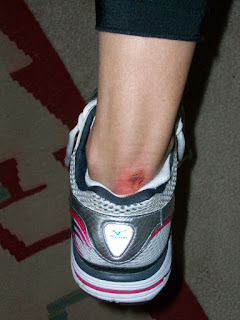 With my mileage starting to pick up, I knew I couldn't run much longer in shoes that were already worn out. Asics says: A superior, race-inspired training flat, this 9.8-ounce gem is pure performance. 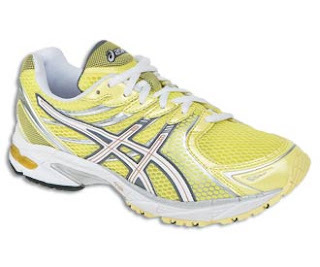 Features ASICS® Impact Guidance System (I.G.S.®) and a neutral platform, to allow high-mileage training, with an enhanced Biomorphic Fit® Upper for superior comfort. 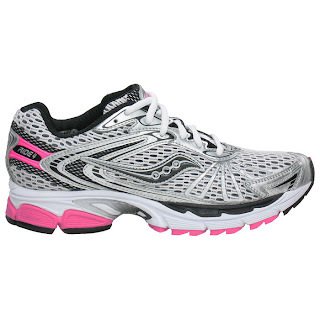 Saucony says: This everyday neutral training shoe looks faster, weighs less and continues to provide great cushioning, flexibility and an amazing experience for the neutral runner. Weight: 9.7 oz. I really planned ahead tonight and wore a strapless bra, which is perfect for testing out new shoes on the treadmill. Needless to say I'll be giving them a more thorough try tomorrow morning at the gym. I haven;t run in either of those shoes but I can say that I hate when the "upgrade" of a shoe is really different from the previous model!